The semicolon (;) is a punctuation mark in English separating elements but used much less than the comma. It is more often used in more advanced extended sentences and adds a formal tone. Its name implies that it indicates a separation that is neither full (as indicated by the period), nor minute (as indicated by a comma). The semicolon denotes a half-way separation between elements close in meaning. 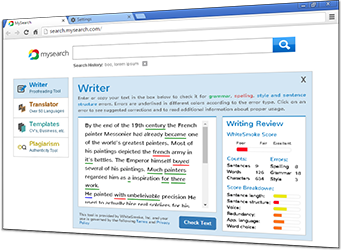 Skilled writers know that they should not overuse the semicolon but merely use for "spicing up" the text's punctuation, as explained in the following sections. Note: Do not use the semicolon instead of a comma in order to make the text appear "fancy." The Smiths went up north for their vacation; the Johnsons went down south for theirs. The above sentence is composed of two independent clauses which could normally be separated with a comma and coordinating conjunction. However, using a semicolon to link the clauses together without a conjunction is an elegant lighter alternative. 1. When two independent clauses are relatively short and the relationship between them (contrast, addition, cause, effect etc.) can be inferred without the coordinating conjunction, some writers find it more sophisticated to omit the coordinating conjunction and replace the comma with a semicolon. Not over-stressing the logical relationships and letting the reader infer them is a stylistic technique that advanced writers sometimes use. However, remember that the semicolon should be used sparingly, for any of its uses mentioned here. 2. You should not use the semicolon to link between independent clauses if the relationship between them may not be easily inferred. In such cases, leave the comma followed by the appropriate coordinating conjunction. The contrast in sentence 1 denotes that a week is not considered too short a vacation. The result in sentence 2 denotes that one week is indeed short and is the result of being able to take only a short vacation. The reason in sentence 3 denotes that the unfortunately short vacation is due to probable work schedule constraints. 3. Consider using a semicolon to unite two independent clauses, which on the one hand are self-standing sentences, and on the other hand two halves of one whole. This allows a smoother transition that lets the text flow, instead of creating "borders" with commas and connectors. The food I had on the flight to London was terrible; the food I had on the flight to Paris was excellent. Dan has decided to be a vegetarian, therefore, he chose the vegetable dish on the flight to India. Dan has decided to be a vegetarian; therefore, he chose the vegetable dish on the flight to India. 1. 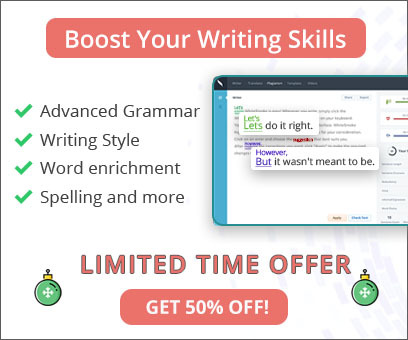 Use a semicolon between two independent clauses linked by either a conjunctive adverb or a transitional expression (“in addition”, “for example”, “on the one hand”, “nevertheless”, “in other words”, “namely”, “meanwhile”, “in fact”) when in the middle of a sentence, between the clauses. Put a semicolon before the linking expression and a comma after it, as it serves as an introductory element to the second independent clause. Dan thought the flight food was delicious; in fact, he asked the flight attendant for some recipes. The flight was delayed due to the workers' strike; consequently, we had to change our holiday plans. The flight did not include any meals; however, the price was conveniently low. Note: Using a comma with a synonymous coordinating conjunction on this last example sentence would not change the sentence meaning except for allowing it to seem less formal than with the semicolon and conjunctive adverb. Remember to be consistent with your punctuation style as it influences the text's tone (formal or informal). Formal: The flight did not include any meals; however, the price was conveniently low. Informal: The flight did not include any meals, but the price was conveniently low. 2. Do not put a comma between two independent clauses linked by a conjunctive adverb/ transitional expression, as this leads to the comma splice error. Remember, you separate two independent clauses with a comma only when they are separated by a coordinating conjunction (and, but, for, or, nor, so, yet). Dan thought the flight food was delicious, and he asked the flight attendant for some recipes. 3. You can use a semicolon before coordinating conjunctions or before any elements (not necessarily introduced by coordinating conjunctions) when these are either long or contain commas or other punctuation marks within them. Staff on this airliner may come from such European countries as France and Germany; or they may come from Asian countries such as Singapore and Korea; or they may come from Latin American countries such as Brazil and Peru. These elements can number more than two, thus creating a list of elements. The semicolon is needed to distinguish between the usually long elements, which can be phrases or clauses. 4. Even when elements are not long or do not have inner punctuation marks, use semicolons when commas alone may make the sentence hard to understand, or in cases where you feel that a comma would not be strong enough. In the following example, the reader may get confused as to which group checks in with which. A, B, C, and D may be falsely perceived as a series. Using a semicolon clarifies the various group pairings. For this flight, group A checks in with B, C and D check in with E, and F checks in with G.
For this flight, group A checks in with B; C and D check in with E; and F checks in with G.
1. Do not use a capital letter after a semicolon, unless it is followed by a proper noun. 2. The semicolon and the colon are the only two punctuation marks which should be placed after closing quotation marks when they follow a quoted text. 3. When a semicolon appears after an italicized text, italicize it as well. 4. You can leave either one or two spaces after a semicolon. Remember to be consistent.